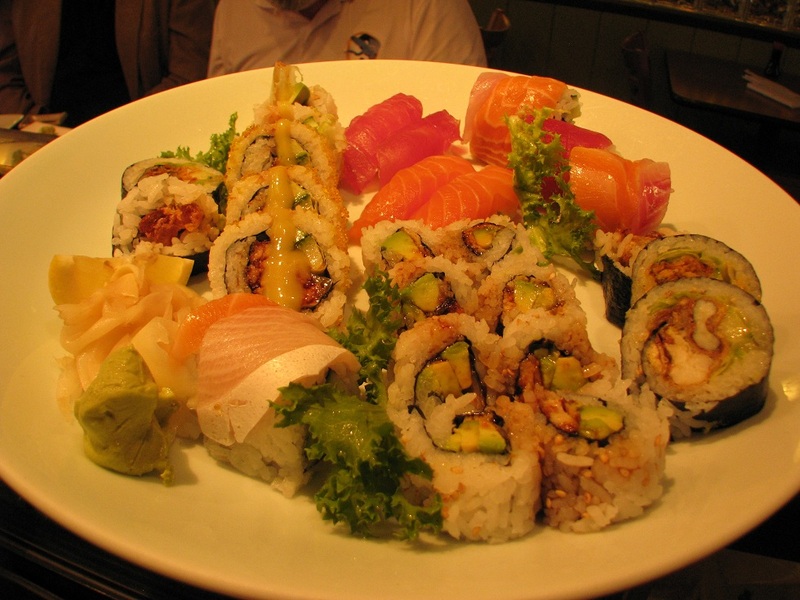 A selection of 5 pieces cooked sushi & a California roll. Assorted 7 pieces of sushi & California roll. Assorted 9 pieces of sushi & tuna roll. Assorted fresh fish sashimi & vegetable over sushi rice. Sliced tuna served over bed of sushi rice. one tuna roll & one california roll. Three california roll topped with flying fish roe. Eel avocado hand roll & Salmon hand roll. hand roll and Spicy salmon & tuna avocado hand roll. 8 pieces of tuna sushi. 8 pieces of salmon sushi.